With John C. Reilly, Joaquin Phoenix, Jake Gyllenhaal, Riz Ahmed et al. Acclaimed Cannes award-winning French filmmaker Audiard turns his talent to the genre that never dies, the Western, in this gorgeously illuminated adaptation of Patrick DeWitt’s terrific novel. A stellar cast makes for a highly entertaining variation on the familiar narrative tropes of the good-bad guy story. What begins as a dark, bloody mission evolves into a more complex and surprising, even comic character study. The plot is tangly in all the best ways. 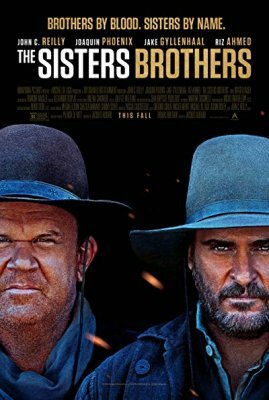 Two brothers—the Sisters—are in pursuit of two other men for reasons we eventually understand. Their inevitable confrontation takes us somewhere close to the point of modernity, much further than any of them had ever imagined. With Keira Knightley, Fiona Shaw, Dominic West, Robert Pugh et al. This is an overdue biopic of one of the most accomplished, exhaustively active woman of the late 19th century. 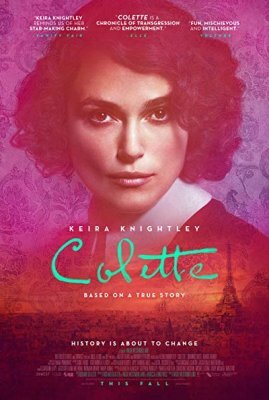 Knightley stars as the penniless country girl who became a writing/life sensation, a woman who emerges out of the cocoon of fin de siècle convention into a sexually liberated, Paris-based intellectual, eventually producing the scandalous Claudine novels. One wonders why no one has made this movie before. Towering hunky Dominic West stars as forceful husband and foil, an extravagant writer of repute who goes by the Freudian-obvious name of Willy. Their flammable dynamic, with its banter and bounce, lies at the core of the drama and of Collette’s journey from ambivalence to confident tigress. Knightley gives a superbly nuanced role as the struggling writer-wife-libertine. The cinematography alone is well worth the viewing. With Willem Dafoe, Rupert Friend, Oscar Isaac, Mads Mikkelsen et al. It wouldn’t be a film series if we didn’t screen at least one feature about Vincent van Gogh from time to time. The Dutch painter never gets old. 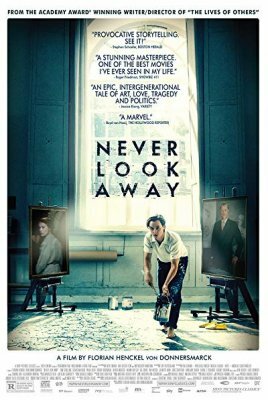 In this gorgeously shot collaboration between two brilliant artists—painter Schnabel and actor Dafoe--we get more of an existential study of genius than a straight-up chronology of what happened when in the fields of Arles. This is literally an extreme close-up view of the limits of the mind, especially one so tormented as that of the great penniless painter. Schnabel also relies on some recently documented evidence to account for how van Gogh died, and so, yes, folks, there is still something new under the Provence sun. 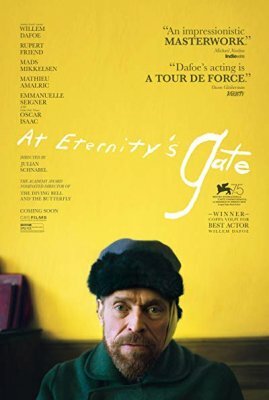 The performances are outstanding, certainly Dafoe in what should be considered his best work, but add to that Oscar Isaac in the role of Gauguin and you have a thing of beauty and a joy forever. With Eva Melander, Eero Milonoff, Jörgen Thorsson, Ann Petrén et al. 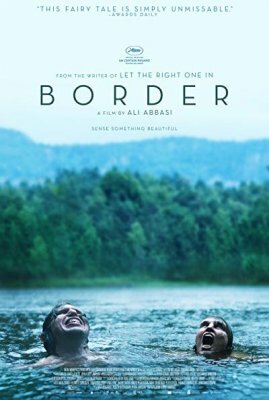 Described as a dark Scandinavian folk fantasy (if that isn’t redundant), BORDER is way too dark and challenging for mainstream theatres, but just right for us. Tina is a border patrol officer with a face like mashed herring and a remarkable nosy talent for sniffing out smuggled goods. She lives a quiet, dignified life in the north, enduring the indifference of her boyfriend and finding pleasure in the beauty of the forest. Things change when a tall stranger named Vore with an equally mashed-fish face attempts to cross the border. Tina is on to him like meatballs on noodles and before you can say Jag älskar dig they are full-bodied frolicking in startlingly original ways. The film soon takes a turn to the surreal, mingling reality, fantasy, and a rich vein of Scandinavian mythology into a gripping study of outsider status, race, and the weak core of civilization itself. Unforgettable! With Jakob Cedergren, Jessica Dinnage, Omar Shargawi, Johan Olsen et al. Oh, man, is this ever good! A hugely appreciated Sundance hit, this Danish thriller will keep you on the edge of your cineplexus. Police officer Asger is wired with anxiety for reasons that unfurl slowly in the course of this tense film. He is confined to working the phones at an emergency call centre, trying to understand context from snippets of intel his distraught callers are conveying. At some level, this is a film about how we make meaning from bits of information, projecting our own assumptions on to a situation. When a woman named Iben calls to say she is being kidnapped, Asger springs into action, not always by the book. The result is an extremely tense race against the clock, all shot from Asger’s isolated location. There is no escaping the camera’s focus and so, we, too, are intimately part of the rescue operation, assuming only what we are given and can interpret from the aural cues and our own limited vision, of course. 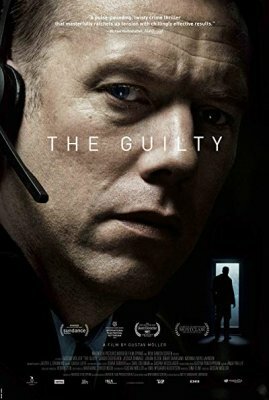 Will THE GUILTY earn the Best Foreign Film Oscar this year? It deserves it. With Lily Franky, Sakura Andô, Kirin Kiki, Mayu Matsuoka et al. Here is yet another must-see winter series screening, the Cannes Palm D’Or-winning treat for your snow-dried eyes. This is a film about a motley crew who comprise a family. We are in Tokyo and not everyone can afford the high cost of living. What, then, are the boundaries of survival? How can children be fed or cleaned when earnings fail to match need? 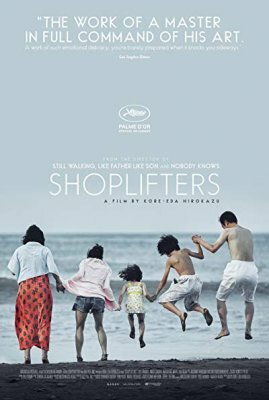 Acclaimed director Koreeda takes us deep into the domestic realities of a struggling arrangement of people who call themselves a family. Bound by need, desire, and even principle, they operate outside the law on the one hand but yet within the very foundational pillars of society on the other. This is a stunning, compassionate view of the human condition that will direct you to the closest noodle bar to contemplate the universe. One of the best films of 2018. With Zain Al Rafeea, Yordanos Shiferaw, Boluwatife Treasure Bankole, Kawsar Al Haddad et al. Here we have another study of poverty, but this time focused on the remarkable life and misadventures of a twelve-year old boy named Zain. You might see reminders here of the Italian social realism films of the post-War II period, or other more recent work such as The Florida Project: life seen and lived through the eyes of children inhabiting desperate conditions. How the filmmaker drew such a persuasive and heart-breaking performance out of a child is one of the mysteries of this masterpiece. But she surely did, as we observe Zain fight the odds of existence every day of his young life. He necessarily wanders through a city in Lebanon, hustling whatever he can while loyally helping his siblings endure their own sad lives. Essentially we are witness to a harsh indictment of the social realities that give rise to a Zain: the mistreatment of women, the imbalance of power, the politics of war. Not all is grim realism, however. A glimmer of redemption is possible—that crack where the light comes in. With Joanna Kulig, Tomasz Kot, Borys Szyc, Agata Kulesza et al. Another gorgeous and widely acclaimed hit at Cannes, this feature tracks the decades-long romance of star-crossed lovers following World War II. Apparently based on the filmmaker’s parents, the film centres on the beautiful Zula and the handsome Wiktor. They are besotted with each other from the get-go, but that annoying Iron Curtain and the sheer demands of existence play havoc with their love. Music is an integral part of their lives and, therefore, fortunately, of the soundtrack. Wiktor is an impresario of sorts and Zula is a performer and so we are treated to a near four-decades survey of some fabulous jazz arrangements. 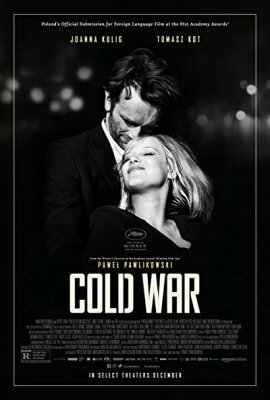 Cold War pulls all the strings in the emotional repertoire, and we are helpless to resist the power of its life force. Love transcends borders, sure, but not without a toll. With Mads Mikkelsen, Maria Thelma Smáradóttir et al. It’s March and likely still freezing out there. Why not a superbly crafted film about survival in cold climes? 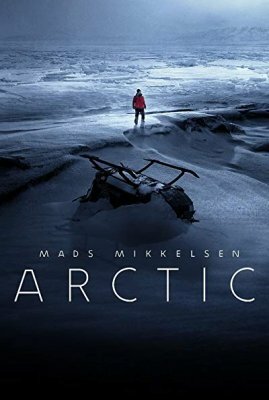 Arctic is filmed in Iceland, passing for further north, the perfect setting for a guy whose plane has crashed and who has to rely on instinct and experience to help him get through each short darkening day. The genre is familiar but the particulars are fresh, as short film YouTube sensation Joe Penna graduates with first class honours to feature filmmaking. Here he shows his chops by deftly focusing on the persistence of character and the demands of landscape. Mikkelsen is brilliant in the role of a man who has no one to talk to. This is a highly suspenseful, taut bit of storytelling that will likely teach you a thing or two about polar bears and catching trout. It will also show you how good a film you can make with essentially one conscious character and a lot of ice. With John C. Reilly, Shirley Henderson, Steve Coogan, Nina Arianda et al. 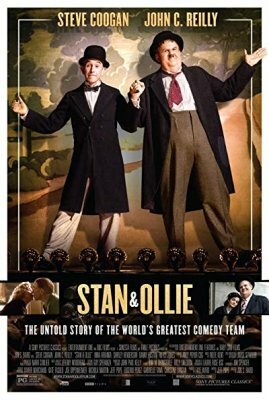 Almost immediately you will forget you are watching John C. Reilly and Steve Coogan perform as the beloved comedy duo Laurel and Hardy, so superb are the make-up and these two gents’ acting skills. Set largely in 1953, the film finds the boys after decades of having achieved massive popularity but now troubled by some years of separation, a bit of hard-luck, and the catching-up of time on their aging bodies. An early scene set in 1937 offers a brief contrast to the present reality. Well on their way to fame and fortune, women around every corner, gambling a constant temptation, the younger duo see nothing but promise and joy ahead. By 1953, television is emerging as a major competitor to the stage and screen, and Laurel and Hardy are drifting out of focus. The opportunity to revive their audience, possibly to make a film together, takes them on tour of British venues. It’s a nostalgia tour, in some sense, but more to the point of the film it is a chance for these two men to resume a relationship. The film really is about a friendship, one vexed at times, burdened by bad choices and lost opportunities, but ultimately caring and compassionate. If we didn’t already know, we learn of Ollie’s large dependence on Stan’s wit and schtick. The former is prone to melancholy; the latter is a persistent pick-me-upper. Both on and off screen, the men evolve a winning dynamic. And don’t miss the chops on the women who play their wives—making for a quartet of shrewd observational humour. What could easily have been a cliché treatment of a famous comedy act becomes a moving, and often hilarious, homage to a very human team. Don’t miss it. With Tao Zhao, Fan Liao, Yi'nan Diao, Xiaogang Feng et al. Yet another Cannes favourite, this feature by well-known and important director Jia is set at first in his Northern coal-mining hometown of Datong. The specifics of locale soon open us up to an epic sweep of millennium Chinese culture with all its pop references and nods to Western themes. 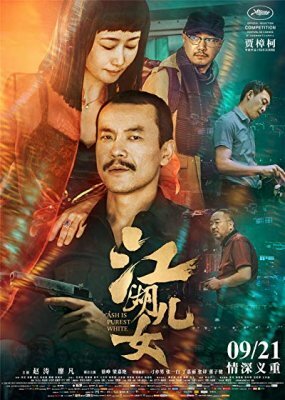 The story centres on the feisty, ambitious Qiao who falls in love with small-time gangster Bin, the operator of a dubious club. One thing leads to another and the romance takes some dramatic turns against the backdrop of the emerging superpower. Jia is interested in examining the codes of masculinity that enable some pretty regressive behaviour in his culture. However, attempts to transgress those codes can also lead to catastrophic effects. You won’t get a more incisive study of current challenges of change in China than this, all wrapped in lush cinematography driven by a stunning narrative arc. With Halldóra Geirharðsdóttir, Jóhann Sigurðarson, Juan Camillo Roman Estrada, Jörundur Ragnarsson et al. 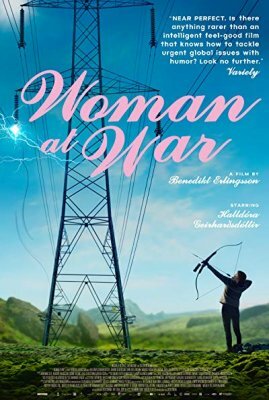 It’s not surprising that the women-governed nation of Iceland would produce a film about a woman warrior, specifically one who takes on all the enemies of environmental destruction. Halla lives unassumingly by day—as an unassuming bicycle-riding music teacher with a twin sister. But her alter ego is a fiercely committed environmentalist who is shaking up the country’s power brokers and has everyone on terrorist alert. When her personal life collides with her activism, Halle is compelled to question her future pathways. Set against the spectacular Icelandic landscape, the film offers a terrific close-up of the tensions informing the current-day politics of the country. This is a stunning piece of story-telling, at once comic and dead-serious about an all-too current battle. With Tom Schilling, Sebastian Koch, Paula Beer, Saskia Rosendahl et al. This is an epic narrative about art in the last century, while spilling into this one, and focusing especially on the effects of political ideology on art-making and exhibition. We see the world first through the eyes of Kurt, a young boy who lives through the Nazis appropriation and condemnation of the high-art canon, followed by, as he grows up and pursues an art career, the prohibitive social realism of the Communists, and then on through the constraints of Socialism. The film is loosely based on the career of living artist Gerhard Richter whose bio is well worth reading before seeing this film. 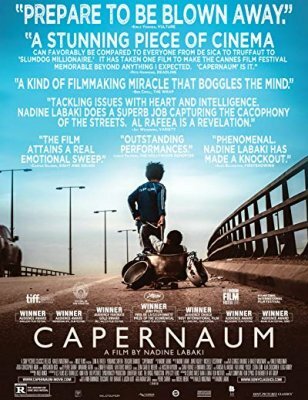 Directed by the genius who gave us the unforgettable Lives of Others, this superb, if long, dramatic essay on the oppressive attempts to prevent creative expression is must viewing for anyone who likes to look.